One part of the anatomy section in a yoga teacher training program to watch closely is why the skeletal system is so important during asana practice. In short, our bodies are uniquely different and our skeletons are almost as unique as our finger prints. As we age, our bones naturally become stiff and brittle. This makes getting around more difficult and much more painful. 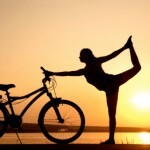 It is a little known fact that yogic exercise benefits the skeletal system. Yoga practice, which includes many standing, balancing, and inverted poses, has been proven to increase the density of our bones. To be more enlightened about Teaching Yoga for Student Skeletal Health visit www.yoga-teacher-training.org.